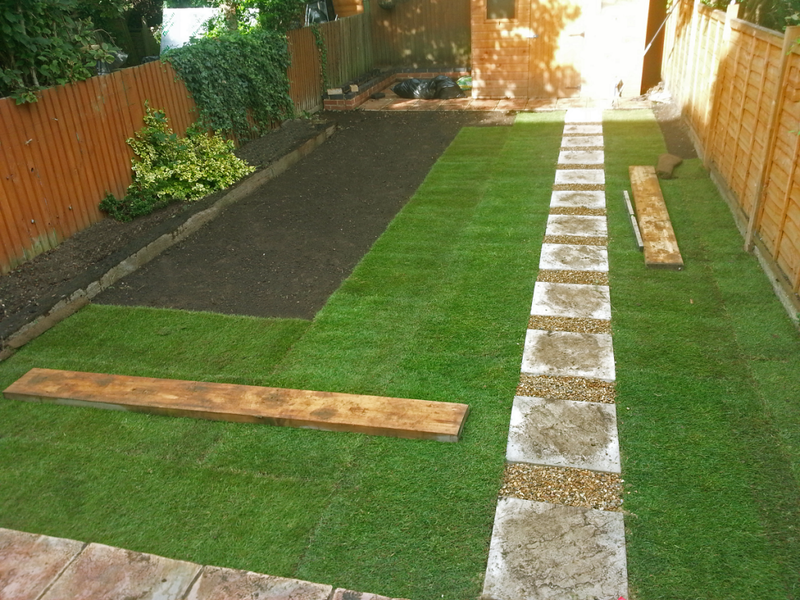 Fresh turf laying, re-turfing and reshaping existing lawn. 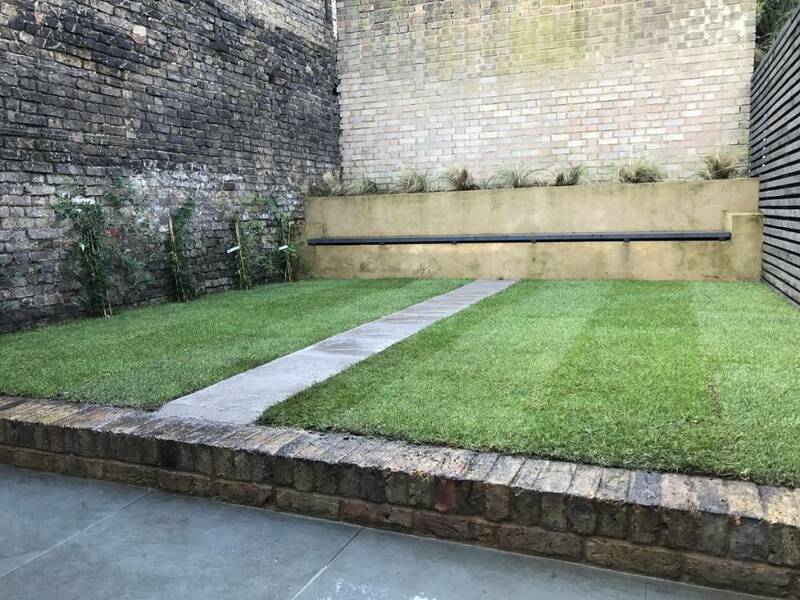 Green At Home Gardeners - we use the highest quality fresh turf for gardens in London and around the M25. 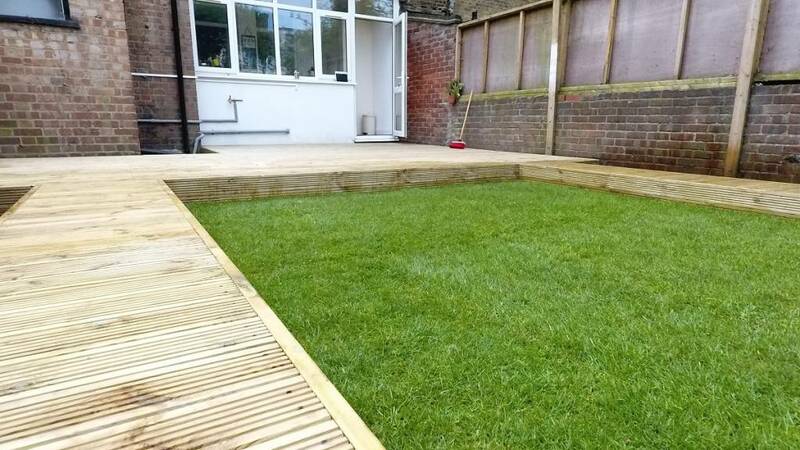 We have transformed big number of neglected and overgrown yards into small pieces of heaven. Where you and your loved ones spend quality time together playing or resting. 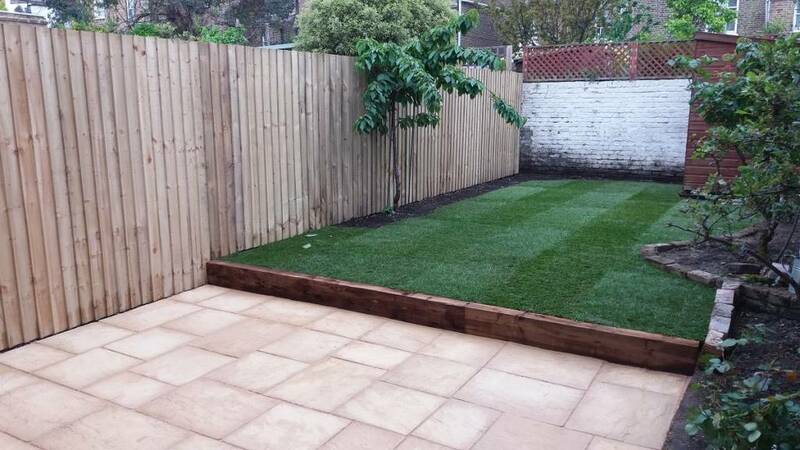 We carefully choose the type of grass that will suit you most your needs. Some turf will be growing better in sunny areas of your garden, and some will need shade. 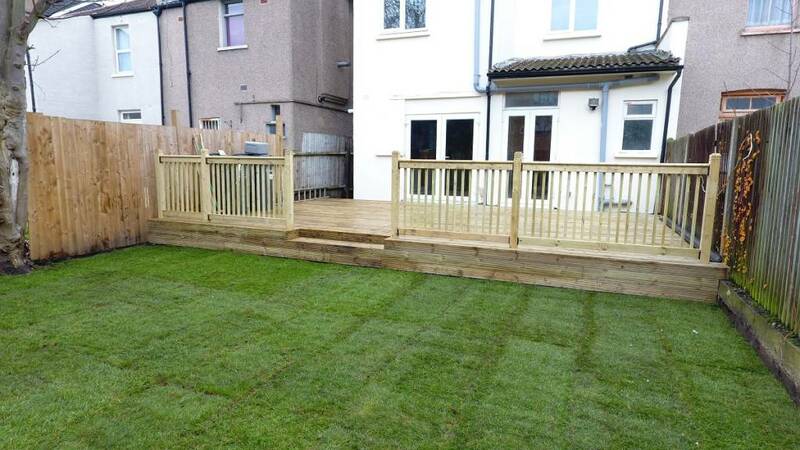 Once you have contacted Green At Home Ltd professional Gardeners. Garden expert will arrive at the property in convenient day and time. The size of the required lawn will be measured precisely and quantities of turf rolls and topsoil will be found. Removing the existing lawn will be the next step of improving your garden. Digging up the old lawn and returning the soil deeply is very important part of creating healthy lawn. The soil will be well aerated after preparation and all weeds will be removed from the garden lawn. Adding topsoil is often a must as it delivers huge amount of grass foods and gives a perfect level finish. Freshly laid turf will easy establish in well prepared ground. 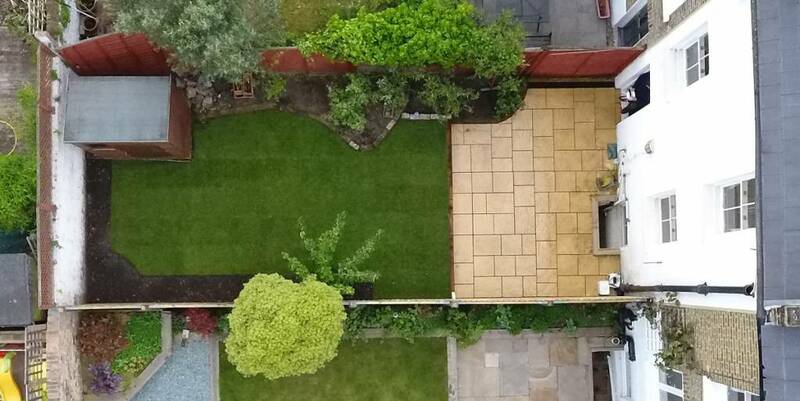 This is a key fact in your lawn creating, as it will be the visible part of the work and we aim to deliver the best finish possible. When properly laid the turf in the new lawn needs to be watered. Important is to always make sure the lawn is watered and will not be left to dry. 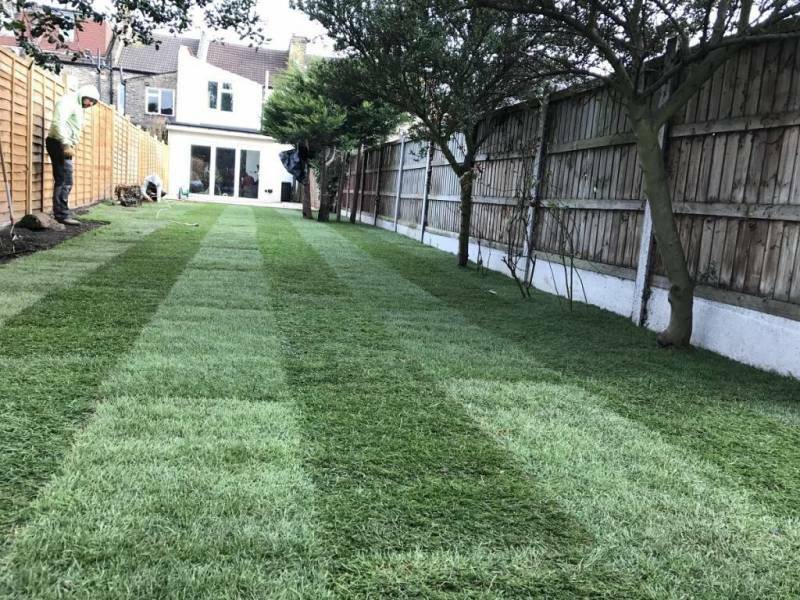 The first 10 days to 2 weeks the new lawn need watering daily, you will be instructed by professional gardener how much water your lawn need each time. Green At Home Ltd Gardeners will take care of your healthy lawn for long term.